Drones are a lot like cars. Both, with extended use and in many cases accidents, require repair. And just like your car, you wouldn’t want to trust just any random shop with the needed repair and maintenance. You want to find a reliable and reputable drone repair shop that you can trust to get your drone back in top-notch shape and flying again. So, how do you find a credible drone repair shop? Drone repair and maintenance require special skills and techniques that can only be learned via specialized training. It is always best practice to find a drone repair shop whose technicians are trained (preferably trained directly by the manufacturer) to perform the necessary repairs and maintenance on the drone brand/model that you own. When looking online look for key words such as ‘authorized dealer’, ‘authorized repair center’, ‘recommended service center’, ‘certified’, etc. Do your homework! Don’t be affair to ask questions. As a consumer, you have the right to ask about credentials, experience and training! Checklist to be provided of all damage and issues found – insight and out. Understand exactly what is wrong, what needs to be corrected, and what you are paying for. Free estimates that allow you to choose how you wish to move forward. If accepted, the drone repair can move forward. If declined, the repair will halt, and you receive your drone back, un-repaired. Warranty on all labor and workmanship that is being performed. Most important! If you don’t understand something, make the repair shop explain it until you do! What are past customers saying? Do they present a clean, transparent profile that allows for easy understand of their repair process? Ask around. There are numerous drone forums and communities that can be found online. A word-of-mouth referral can provide honest insight and experience. 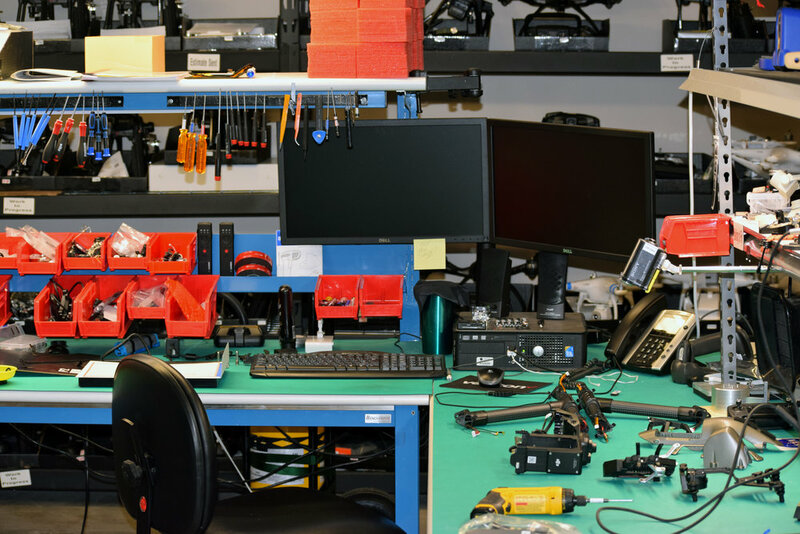 At Fortress UAV we take pride in being a quality and reliable source for drone repair. Our technicians have been trained and certified by the drone manufacturers that we repair. Not only that, we are backed by a BBB Accreditation. Our drone repair process can be quickly and easily summed in 5 simple steps. We provide a transparent, detailed analysis of all issues after we inspect and run a full diagnostic on your drone, for free! We are upfront on costs and time required for repair. After considering all information, you have the choice to move forward with the drone repair or decline. We also provide a 90-day warranty on all labor and workmanship. If you are looking for a drone repair, we would love to assist! To get started, please create your profile here!